This ensemble play traditional Iranian music featuring the beautiful sung poetry of the great Persian poets. 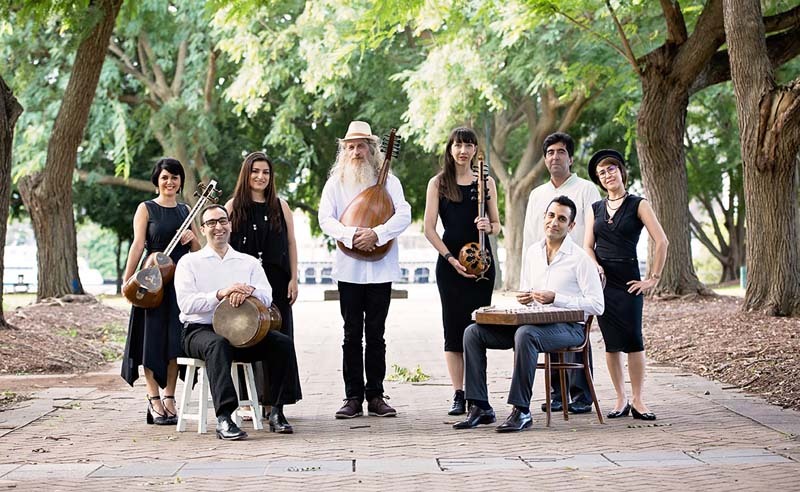 The group’s musicians come from Iran, Afghanistan and Australia play santour, shah kaman, tar, oud, tonbak and daf. Saba provides performance opportunities for Persian women musicians and singers, who are currently barred from performing in Iran. Travel the Silk Road where heavenly and earthly delights await – from joyous music and sung poetry of the great Persian poets to cultural dance styles of Syria, Iraq then on to Egypt where the art of belly dance completes the journey.